During our 4th and last debate session, 2 groups debated on the issue of polygamy. 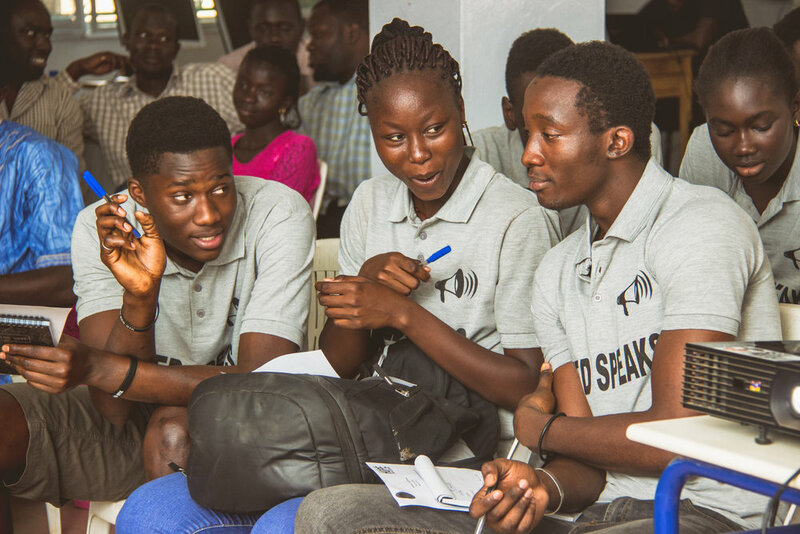 The judges (SEED tutors Mr. Ndao, Mr. Ndiaye and Coach Idy Cissoko) had the chance to ask questions and give their feedback. The debate included 10 minutes of cross-debating (which could have continued all night since both teams were very passionate about the topic :) and questions from the public. Students discussed religion, law, tradition and cited examples from their communities. The grand prize winners were members of the group that argued in favor of polygamy. Since the debate took place during the Hoop Forum, campers also had a chance to participate. 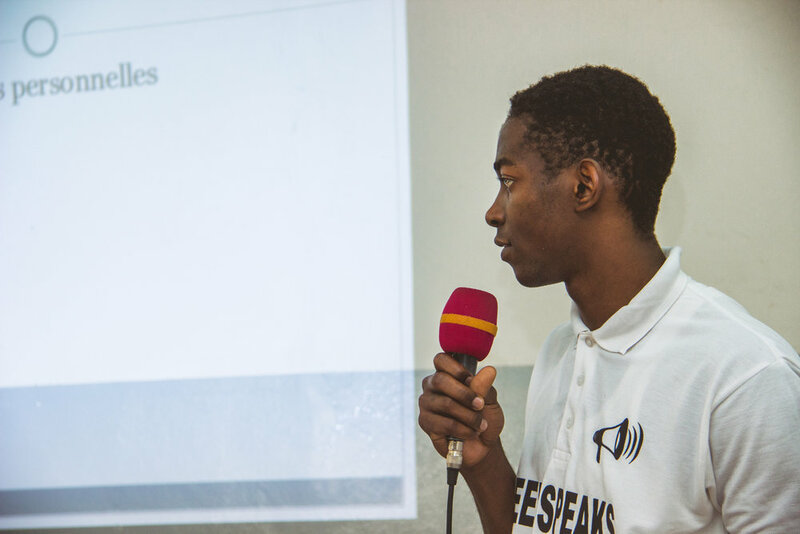 Although this was the last debate for the SEED Speaks workshop series, we look forward to continuing our partnership with students from Sup De Co and other schools and universities to help our kids keep practicing their public speaking skills. They have grown tremendously. Those who were once shy and had difficulty expressing themselves, can now talk confidently and convincingly. We want to continue to empower them to express themselves freely and clearly. SEED is grateful to H.O.P.E for Senegal for their support. During our 3rd session, the semi-finals, 4 groups debated on: women in leadership positions and media censorship. The judges (SEED tutors Mr. Diop, Mr. Ndiaye and Mr Ndao) had the chance to ask questions and give their feedback. This time around, the debate included 5 minutes of cross-debating and questions from the public. 2 winning teams were selected. It was exciting to see how the students’ passion for the topics grew. They defended their stance and points of view with statistics and specific examples. Students who had already been disqualified were encouraged to keep participating in the sessions to learn and ask their counterparts questions. We were pleasantly surprised to see that almost all the original participants showed up. Everyone had a chance to win prizes by asking groups good questions and answering questions from us (What is SEED’s mission and values? for example). Who will walk away with the grand prize? We’ll soon find out. 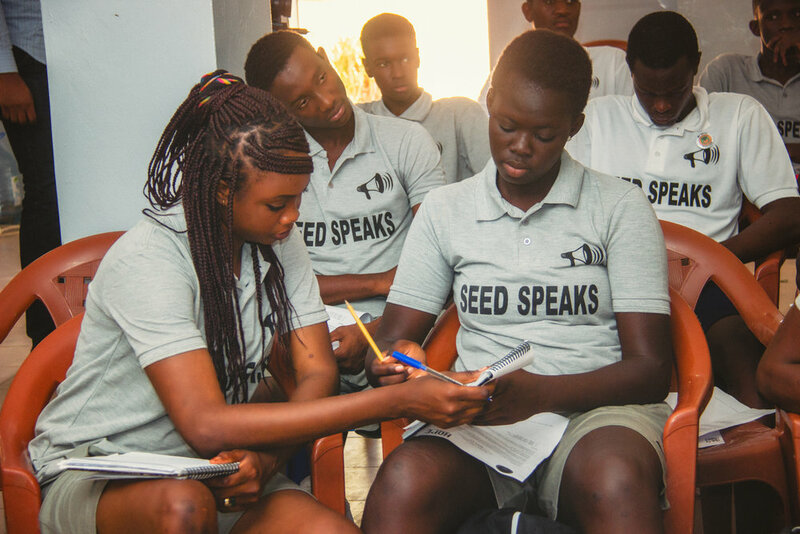 The next day, during SEED’s 2nd annual Pout SEED RISE Camp organized by SEED Alumni Mactar Mbodj and Mamadou Thia Diop, SEED Girls had a chance to give back by presenting public speaking tips to youth. Using what they learned from communications and etiquette sessions, they taught youth what to do and things to avoid when presenting in public. One of SEED's core values is "Giving Back". We are happy to have been able to do so in such a big way. 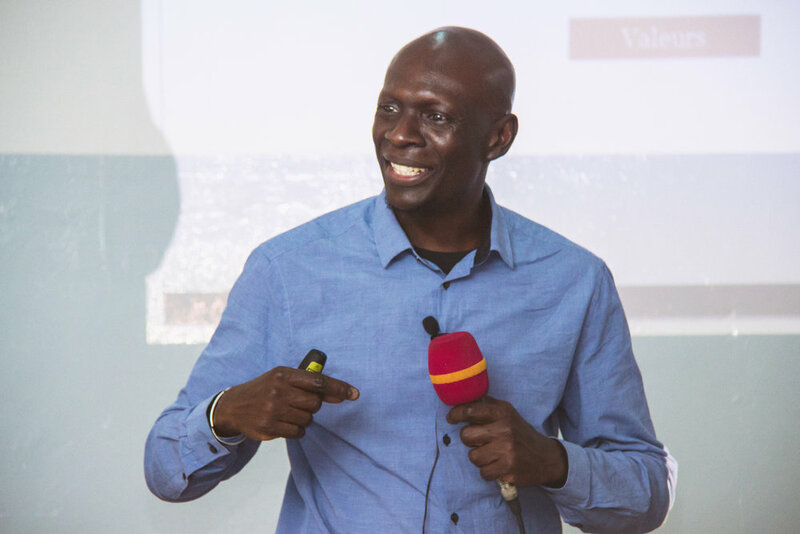 Passionate about teaching personal development, leadership and entrepreneurship, Kader Camara helps individuals find their motivation and works with organizations to define their mission and values. 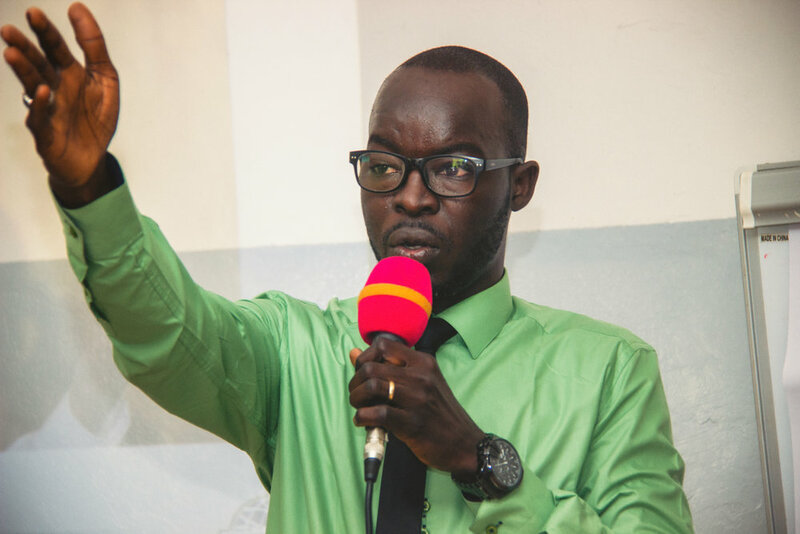 Author of a book on entrepreneurship called “Entrepreneuriat, le guide complet (Harmattan)”, his articles often appear in the magazine REUSSIR. Perhaps the most telling moment of the session was when one of our young women spoke up at the end of the session and thanked the speaker for what he had just taught them. She explained that the Elite Girls group was increasingly being exposed to different opportunities, which meant they’ve had to adapt in different public settings. She said that whereas before, they were surely being judged by their counterparts for the way they carried themselves (especially at the table during lunches), she was now more confident with the new tools she had learned: “Now that we know these things, we can do better”. That is precisely why we believe this workshop series will have a positive impact on all our kids.